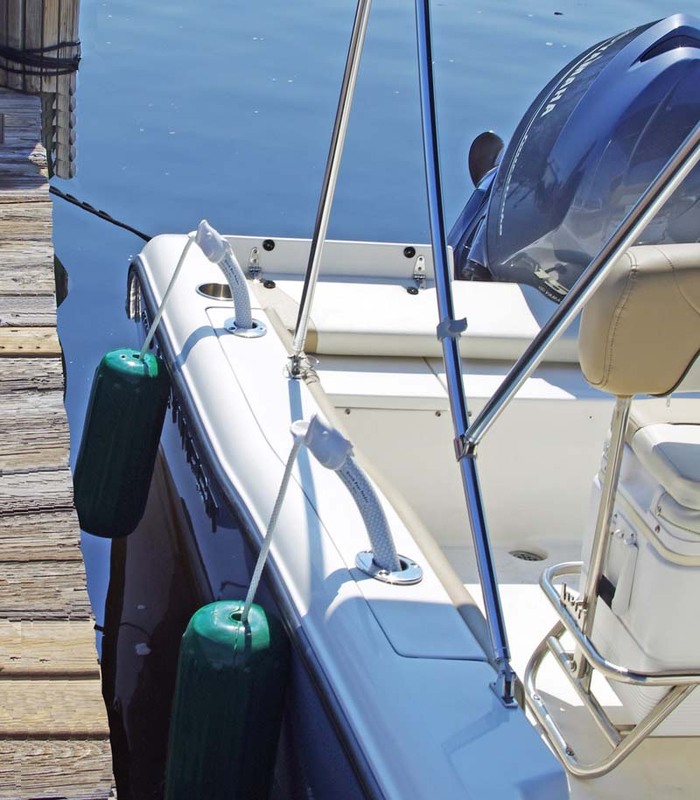 Don’t you have enough to do while docking your boat, without worrying about where to place the boat fender, or how far down to tie the line? Then after you dock, do you worry about the fender lines, and how you attached them to the boat? Quick Boat Fender can take hundreds of pounds of pressure, and comes with a 10 year replacement guarantee. How does Quick Boat Fender adjust to my boat? 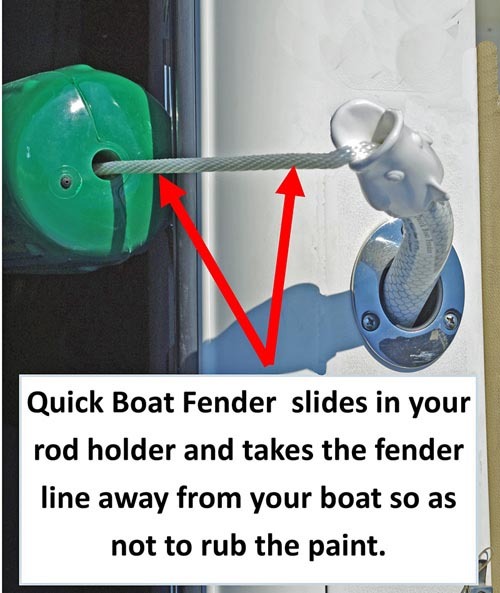 If you can tie a knot, you can adjust Quick Boat Fender to any boat or fender, and it comes with step by step illustrated instructions, Click Here to watch a You Tube video on how easy it is to dock using our product. 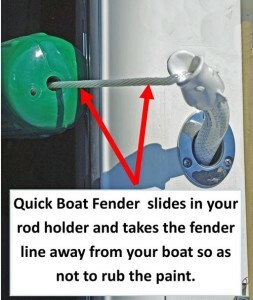 Quick Boat Fender slips in your rod holder allowing the boat bumper to hang over the side of your boat. 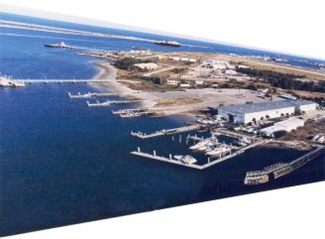 Additionally, Quick Boat Fenders are the easy to use, almost indestructible boat fender accessory.